There are a lot of companies that boast their product is super even when it isn’t so it’s a pleasure to see something that is “super” be really super. 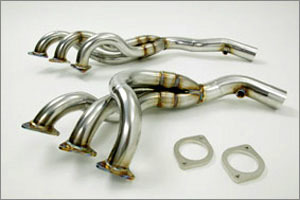 Take a look at these beautiful exhaust manifold made by Dixis for the BMW E46 M3 and for you lucky and rare few the M3 CSL. These things are just a work of art. dixis Super Exhaust Manifold, developed based on dixis’ know-how from our racing history, is the a one of a kind exhaust system.dixis “signature” pipe layout successfully boosts more than 10 ps power up. 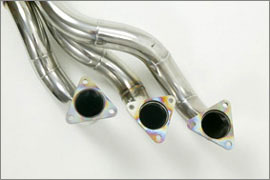 High luster polished SUS304 stainless steel piping with high endurance and high strength accents in your engine room. Exclusive craftsmanship and extensive bench testing makes this dixis’ true high performance specification. Indulge in the true exhaust sound and terrific acceleration and response from mid to high speed. Sources tell us the Mackin Industries is the US Distributor for Dixis.